Memorandum of Understanding (MoU) has been signed between Power Grid Corporation of India (POWERGRID) and Uttar Pradesh Power Corporation (UPPCL) for energy efficiency and agricultural demand side management programme. POWERGRID is Navaratna Central Public Sector Enterprise (CPSE). It is central transmission utility (CTU) of India. Headquartered in Gurugram, Haryana, it is Indias largest electric power transmission utility, transmitting about 50% of total power generated in India on its transmission network. The no-confidence motion moved by Telugu Desam Party (TDP) faced a heavy defeat at the Lok Sabha on July 20, 2018. The motion was defeated with 325 votes against and 126 in favour with 451 members of the parliament present and voting. This was the first no-trust motion against Narendra Modi- led NDA government after it came to power in May 2014 and less than a year before the next general elections. It is also the first no-trust vote in 15 years. The eighth session of India-Oman Joint Commission Meeting (JCM) was held in Muscat, Oman on July 16, 2018. The session was co-chaired by the Union Minister of Commerce & Industry and Civil Aviation, Suresh Prabhu along with the Minister of Industry, Investment, Trade and Digital Economy of Oman, Dr. Ali bin Masoud Al Sunaidy. The areas of discussion in the Joint Commission Meeting included cooperation in the area of space, renewable energy, start-ups, SMEs, food security including durable food and packaging, services sector, tourism sector, exchange of ideas and visit of young entrepreneurs. Scientists have approved three new ages on geologic time scale of Holocene Epoch viz. Meghalayan Age, Middle Holocene Northgrippian Age and Early Holocene Greenlandian Age. These three new ages of Holocene Epoch are represented by wealth of sediments that accumulated worldwide on sea floor, on lakebottoms, as glacial ice, and as calcite layers in stalactites and stalagmites. Together the strata of three new stages comprise the Holocene series. Geologists divide 4.6-billion-year existence of Earth into distinct periods. Each period corresponds to significant events such as break-up of continents, shifts in climate, and emergence of particular types of animals and plant life. Israel on July 19, 2018 passed a law declaring that only Jews have the right of self-determination in the country. This bill defines the country as an exclusively Jewish state. It is being called racist and on the verge of being apartheid by the members of the Arab minority in the nation. The state law, which was backed by Prime Minister Benjamin Netanyahus right-wing government, was passed by a vote of 62 in favour, 55 against and two abstentions in the 120-member parliament after months of political argument. The law was enacted just after the 70th anniversary of the birth of the state of Israel. Myanmar on July 19, 2018 joined the India-initiated International Solar Alliance (ISA), thus, becoming the 68th signatory to the Framework Agreement of the ISA that aims for optimum utilisation of solar energy. Myanmar Minister for International Cooperation, Kyaw Tin handed over the ISA Framework Agreement to External Affairs Minister Sushma Swaraj during a bilateral meeting on this year’s Delhi Dialogue. The International Solar Alliance was launched jointly by Indian Prime Minister Narendra Modi and French President Francois Hollande on the first day of the COP-21 summit at Paris in 2015. It is Indias first international and inter-governmental organisation of 121 Countries and has headquarters in India with United Nations as Strategic Partner. 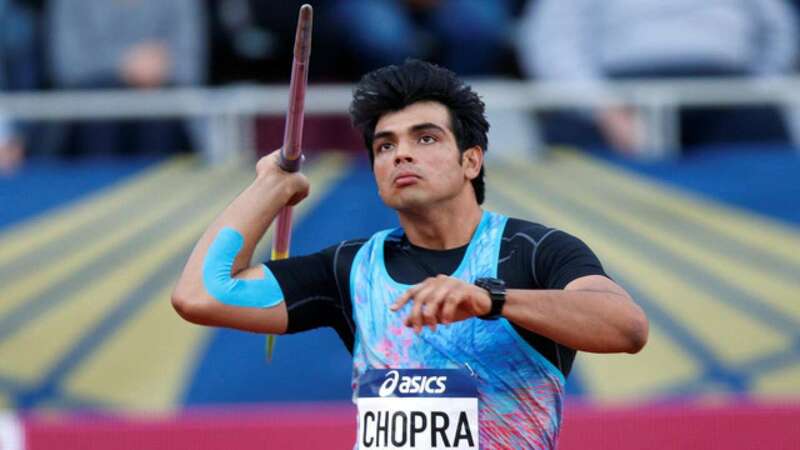 India’s javelin thrower Neeraj Chopra won the gold medal at the Sotteville Athletics meet in France on July 17, 2018. Chopra with a throw of 85.17m was way ahead of his competitors, including Moldova’s Andrian Mardare (81.48m) and Lithuania’s Edis Matusevicius (79.31m), who took the silver and bronze medal respectively. The 20-year-old Indian from Panipat has won the gold medal in the 2016 World Junior Championship and in the Commonwealth Games 2018. China on July 16, 2018 announced its plans to launch 300 low-orbit satellites named as the “Hongyan Constellation” to provide worldwide communication services. The first satellite in the Hongyan constellation will be launched by the end of 2018 itself. The satellite data collection function of the series of satellites will provide energy and engineering companies with services including management of global assets, personnel positioning, and emergency rescue and communication services. Top beverage companies including Coca-Cola, PepsiCo and Bisleri, have initiated a buyback programme for all PET (poly (ethylene terephthalate)) bottles sold in Maharashtra. Under the programme, a predefined buyback price will have to be mandatorily printed on the larger PET/PETE bottles. In March 2018, the state of Maharashtra enforced a state-wide ban on the manufacture, use, sale, distribution and storage of single-use plastic items, including carry bags, disposable plates and cutlery and even thermocol. However, a month later, the state government lifted the ban on small plastic bottles, while announcing a buyback scheme for bigger bottles. 1. Where is the headquarters of Power Grid Corporation of India? 2. India-Oman Joint Commission Meeting (JCM) held in Muscat, Oman on July 16, 2018 was ___ session. 3. Which of the following age is not described on geologic time scale of Holocene Epoch? 4. Which is the Indias first international and inter-governmental organisation? 5. Who has won the gold medal at Sotteville Athletics meet in France? 6. Who is going to launch 300 low-orbit satellites to provide worldwide communication services?